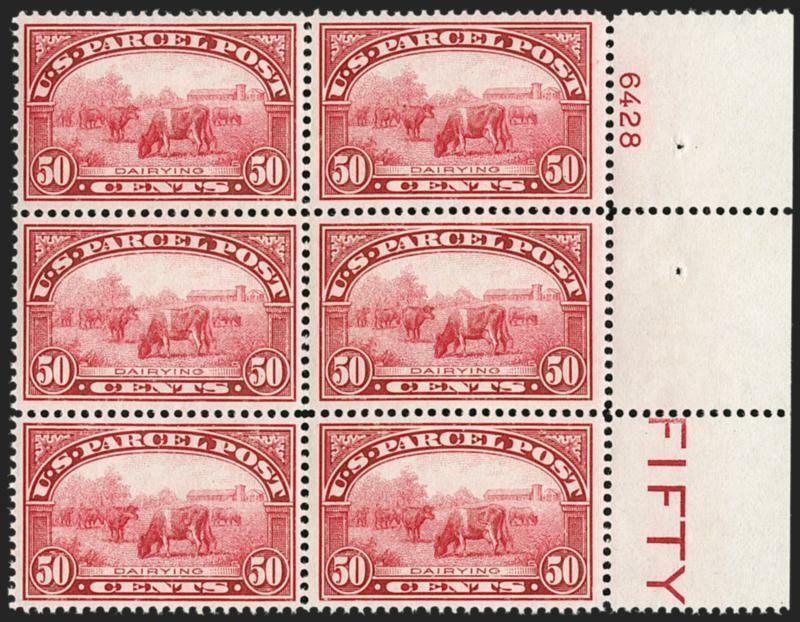 Since the new Parcel Post service was intended to compete with private express companies in transporting farmers' products, the three high values pictured scenes of rural agricultural industry. 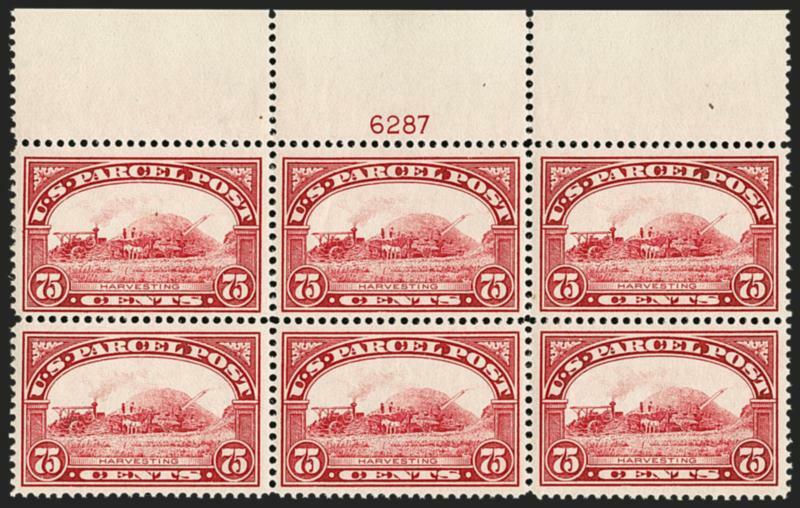 The 50¢ value paid tribute to American dairy farmers with a bucolic scene of grazing cows. 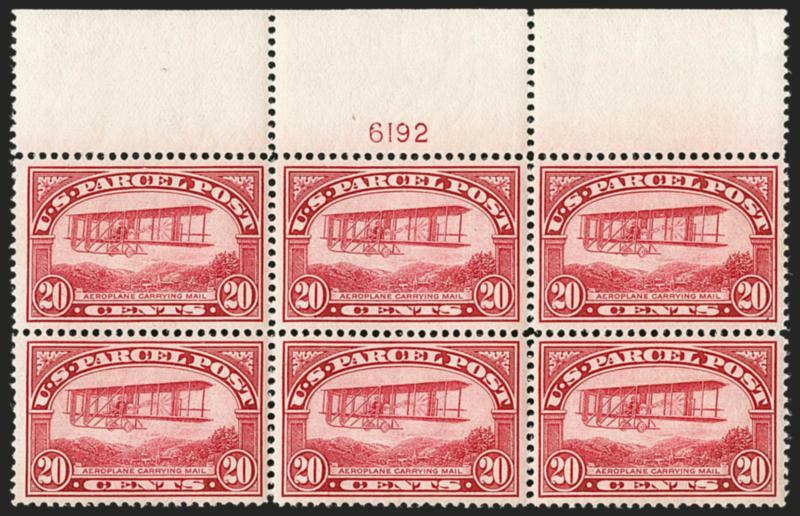 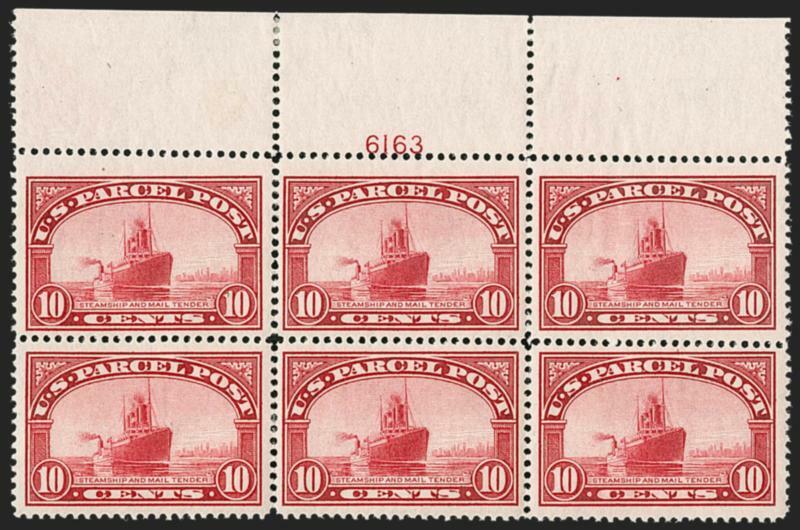 The Parcel Post issues were printed from plates of 180, consisting of four panes of 45. 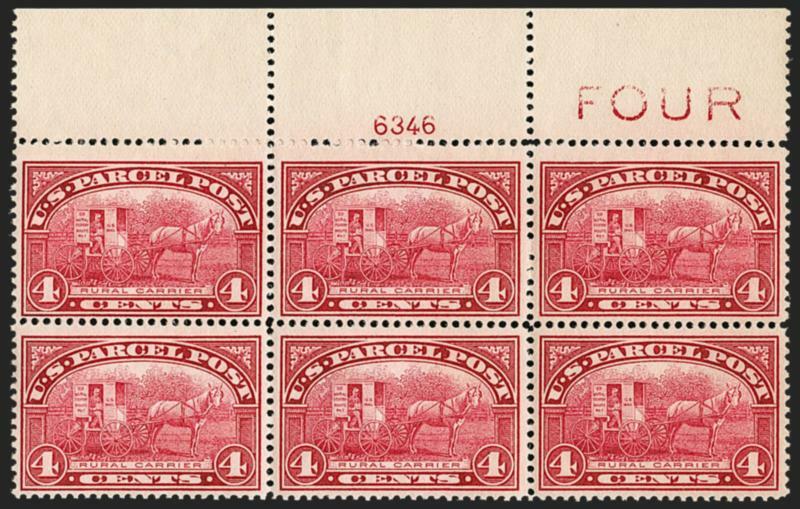 According to Johl, the uniform color of the twelve denominations confused postal clerks, who complained that they were forced to examine the stamps in detail to ensure they had the correct values. 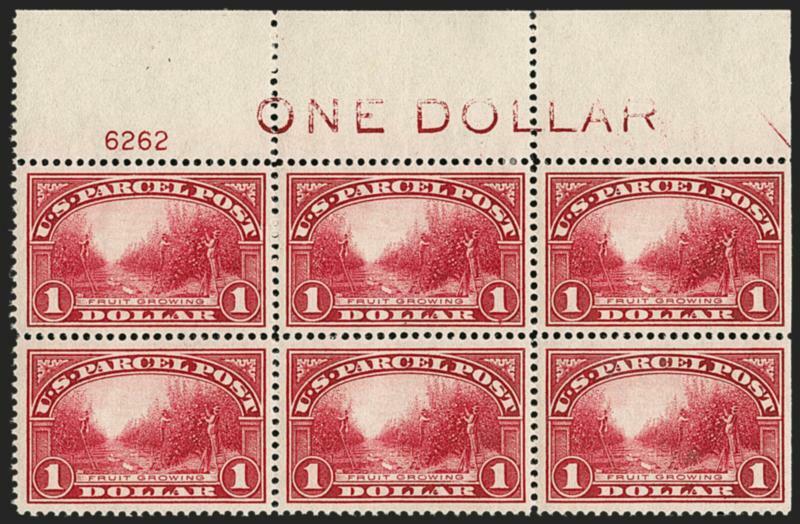 In response, on January 27, 1913, large capital letters were added to the margins near each plate number. 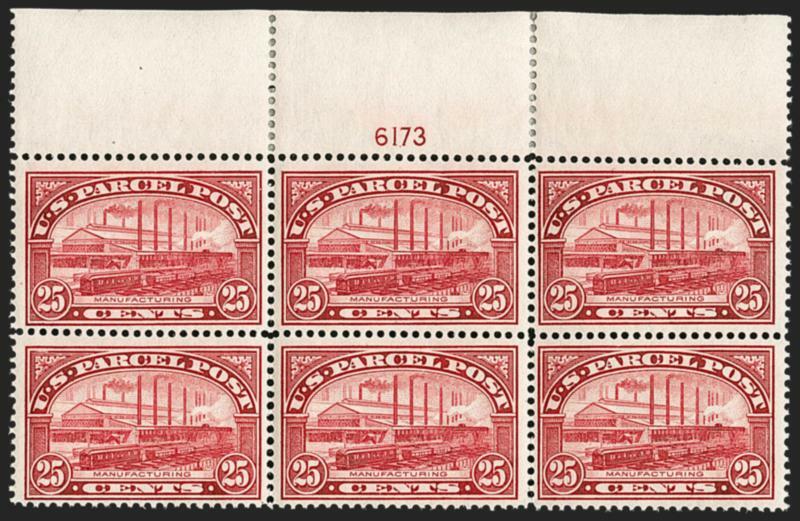 At the top and bottom of each plate, the imprint is in the selvage next to the plate number; on the sides it is separated by stamp-size blank selvage for some values, depending on the length of the imprint. 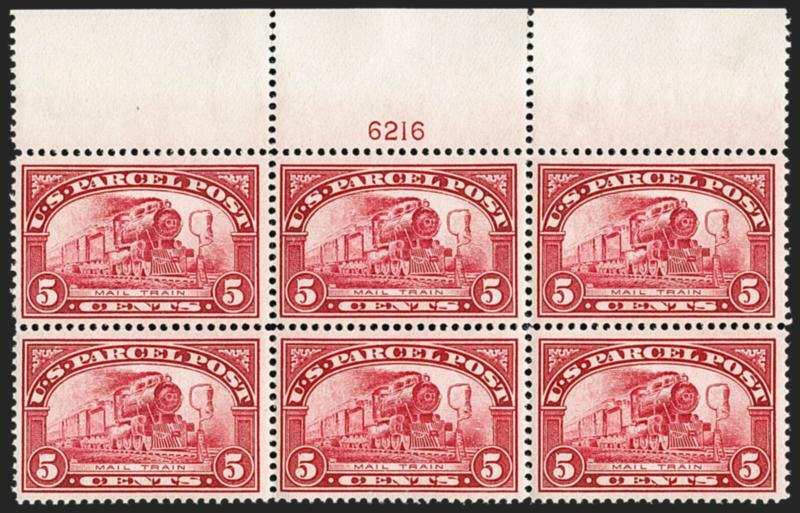 This top position plate block comes from the upper left pane, with the guide arrow at right.